One of my favorite hidden treasures in Ballard, Liberte Skin Wellness, is perhaps not so hidden anymore: aesthetician Liberte Liberte (her real name) has moved into bigger digs on 56th Street, just a block north of Market (pictued above). But despite more treatment rooms and another aesthetician on staff, Liberte maintains the same local, personalized approach to treatments, including her specialty, sugaring (no waxing here, folks! ); instead of using disposable wipes for legs, Liberte preps legs with reusable felt pads sourced in Ballard, and each customer walks away from their appointment with a lollipop made by local company This Charming Candy. In March, Liberte will debut her own product line available in the shop, which given her track record- her current product, the Golden Everyday Cleanser, is a lovely, soothing facial purifier made from cold-pressed jojoba oil and vitamin E- is very good news for us all. 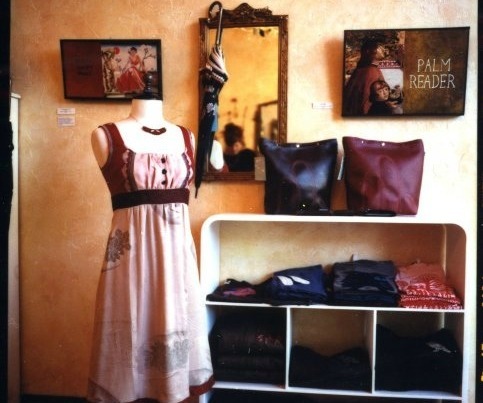 Longtime owner Tes de Luna has turned over the reins of her darling Velouria boutique in Ballard (never fear, she is on to new adventures in the wedding world) to Chika Eustace--of R&L Goods-- and Cat Wilcox. To celebrate the new brigade, the lovely ladies are having a 20% off sale through the end of the month, so get thee to Ballard and say hi. Like any Seattleite, I am a Nordstrom aficionado so I was pleased as punch this week to see the news about the revamped loyalty program. Long famous for handing out great perks for frequent shoppers, the new changes are very welcome for us on a budget: You now need to spend a lot (lot) less at the hometown store to get in to the coveted club.